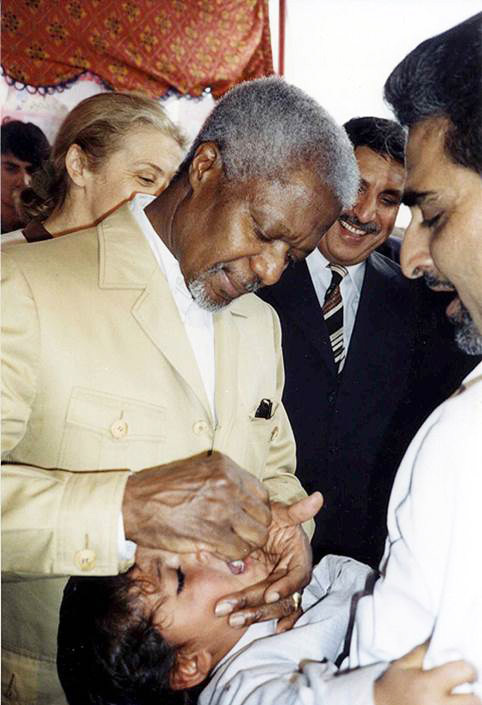 Kofi Annan, former Secretary-General of the United Nations, made significant and important contributions to global efforts to eradicate polio. The passing of former Secretary-General of the United Nations Kofi Annan earlier this month was a significant loss to the world of international diplomacy, peace, and efforts to deliver a more equitable life to millions worldwide. Charismatic, strongly opinionated, and perpetually kind, Annan captured the imagination of thousands working in international affairs across the world. Beginning his career at the World Health Organization, he never lost sight of good health as a right owed to all. Sharp and precise, he was also quick to recognise and commit to public-private partnerships, and health investments which make social and economic sense – interventions which deliver a decisively positive return on investment. 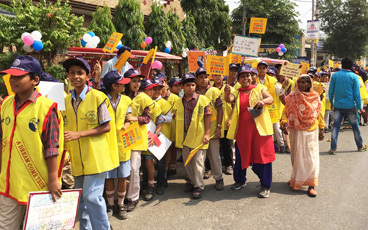 The need to “reach every child” – no matter where – with a simple health intervention giving life-long benefits, was the principle that led him to commit so strongly to the global cause of polio eradication. Over the course of his tenure, he consistently and strongly supported polio eradication efforts in some of the most difficult settings worldwide. In doing so, he bolstered the efforts of the programme, bringing us closer to a polio-free world, and enabling the 99.9% reduction in cases achieved since the beginning of eradication efforts. 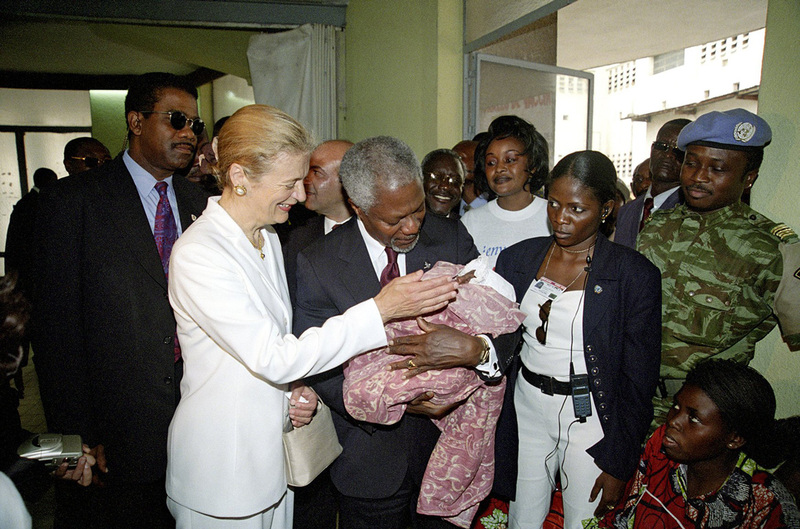 Annan’s impact on polio eradication was both visible and invisible. He supported the first-ever Global Summit on Polio Eradication during the UN General Assembly in 2000, and called for “greater mobilization of people and funds” and “commitment at the highest levels” in the race to reach the last child. 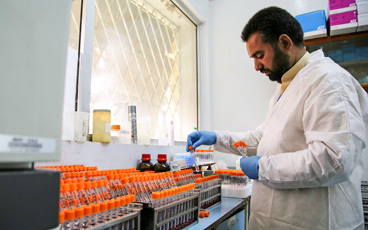 He declared that polio eradication was a model for effective public-private partnerships in global health. Staying close to his humanitarian principles, he urged Member States and all parties to cease hostilities to allow polio vaccination activities to continue in many regions of the world, and was unafraid to directly target the source of tensions. He was involved in securing access to vulnerable populations through ‘Days of Tranquillity’ in Iraq, the Democratic Republic of the Congo and Cote d’Ivoire. To support these critical vaccination campaigns, he directed the UN to provide logistical support, including the use of UN helicopters to deliver vaccines to the hardest to reach, and conflict affected communities. Significantly, he appointed a Special Envoy for polio eradication in Nigeria in the early 2000s to help negotiate complex issues around a ban on polio vaccinations in areas of the country. This helped to resolve the issue, stemming a devastating spread of the virus that threatened global eradication efforts. Behind the scenes, he was quick to recognize the important contributions of donor states to eradication efforts, and maintained interest in the polio programme even during his busiest times in office. Calling on WHO headquarters staff to provide briefing notes and regular updates, he kept key policy makers on their toes, and helped push the sense of urgency which continues to this day in the fight to eradicate polio. He actively sought polio talking points ahead of his travel to polio priority countries. 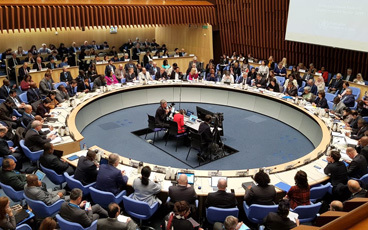 Each year, he wrote to the heads of endemic states to thank them for their continuing commitment to defeating the paralysing virus, and urged them to take specific actions to strengthen operations. Using his connections to the African Union, the Organisation of Islamic Cooperation countries, and the G7, he helped to inspire states to enhance their political commitment, and donate to the cause of ending polio. He was grateful for their support, as evidenced by numerous letters of thanks in the archives which chronicle his commitment to and belief in eradication. A career diplomat, Annan was unafraid to use other methods of strengthening multilateral commitment. To the joy of communications specialists in the programme, he was ahead of the game in agreeing to take part in polio eradication videos, newspaper opinion editorials, and to launch polio vaccination campaigns with his wife, Nane. Indeed, this was perhaps one of the most touching symbols of his commitment. 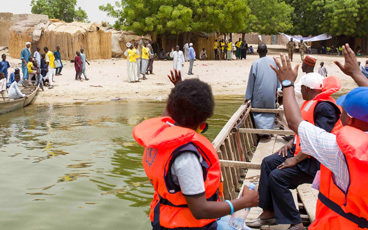 Inspired by the commitment of polio eradication volunteers in the field, Annan continued to support the programme even after the end of his time as Secretary-General. As a board member of the United Nations Foundation, and through his own foundation, he continued to advocate for polio eradication. 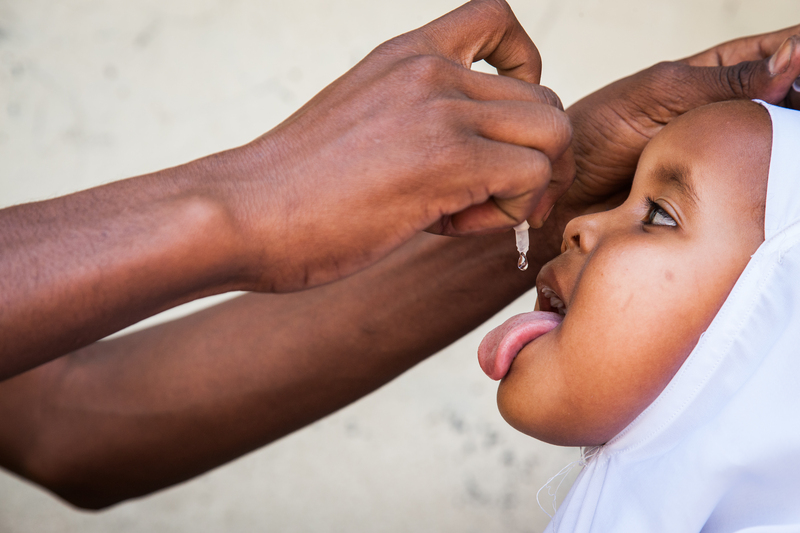 On the day that polio is declared eradicated, there will be many people to thank. Kofi Annan, this humanitarian, this diplomat, this visionary, will be one of those people. Kofi Annan passed away on 18 August 2018. During his time as Secretary-General of the United Nations he made significant contributions to global health, global security, and global diplomacy. The Global Polio Eradication Initiative extends its condolences to his wife, children, family, and all those who worked with him, and were inspired by his life and work.